A bootstrap Responsive multi-purpose Theme for the Creatives, Web agency and more! Wing of The Spirit Missions, a nonprofit organization, mobilizes the body of Christ to serve through faith based humanitarian outreach. Serving through disaster response, acts of service and goods distribution our volunteered manpower respond through the love of Christ showing the world we don’t just go to church, we are the church. 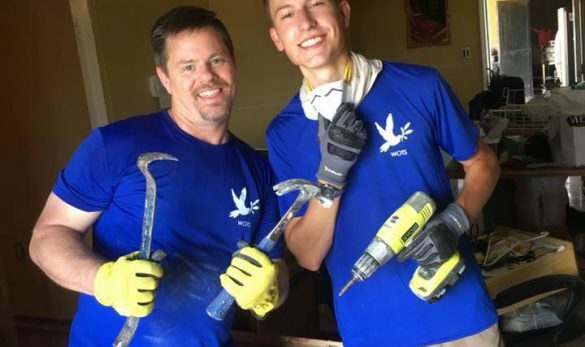 At Wings of The Spirit Missions we believe as followers of Christ that responding to the needs of those around us should be something easy for us to say “yes” to. Our vision is to provide the church body with the needed equipment and provisions to serve, especially during natural disaster events. 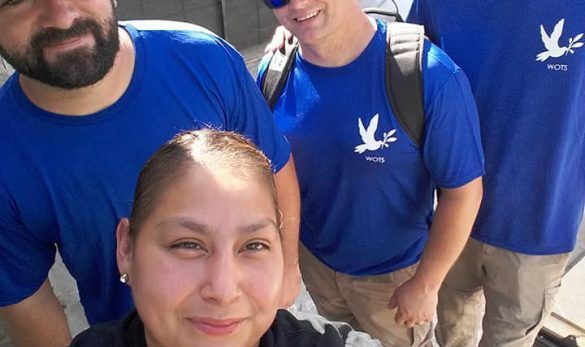 Short term housing, meals, equipment and a need to serve are all provided, giving your group of volunteers the security and confidence to say yes. If you haven’t watched the video we would encourage you to invest the time. It explains in detail how God put the ministry together and we know you will find it interesting. As you learned in the video, everyday men and women with everyday lives would be connected through a series of seemingly coincidental events that proved to be anything but coincidence. These connections would forever change the lives of those involved with forming WOTS along with many others. It’s a simple act of obedience that allowed God to put the pieces of the puzzle that He had already planned, together, to form what is today Wings of The Spirit. The mission you learned about in the video that Gerald and Daniel set out to complete was appropriately named the “Mission of Peace”. 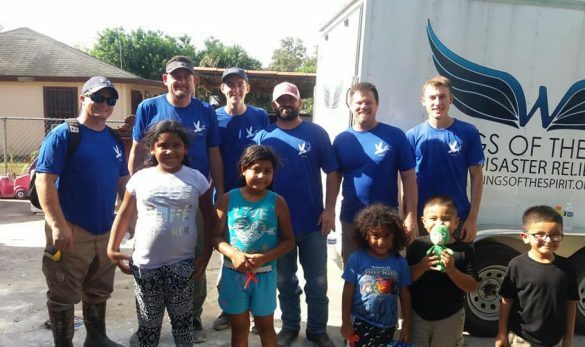 The aircraft was named the White Dove and was adorned with the image of a dove holding an olive branch, a logo often used by Team Hope that helped to introduce our team, and loaded with 900 bibles ready to be distributed throughout the journey wherever and to whomever the Lord would lead. A lot of planning and anticipation went into the mission but we wanted to be sensitive to where God would have us go. 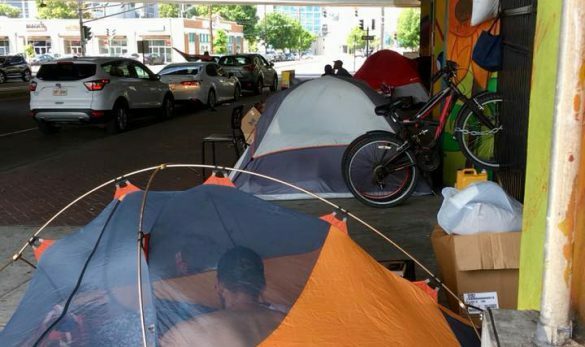 No plans were made to book hotel rooms, determine how many days the team would stay in a particular city or village nor did we plan the exact neighborhoods where ministry would take place. Sure, daily discussions around the “what if’s” of weather, emergencies, etc. were taking place but if God was moving in a particular city or village we didn’t want to be confined to a schedule and forced to leave. Our favorite part of the planning process was weekly prayer meetings where people close to the ministry would come together and pray for particular needs of the ministry. 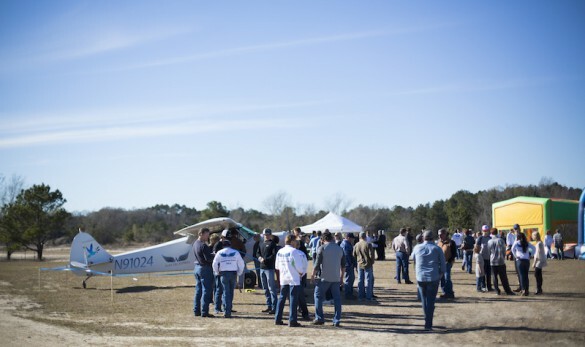 As this would be the first official mission for the ministry we also put together an event we called the “Launch Party” at Tranquility Lakes, an event center near our home church, Journey in Central Louisiana. 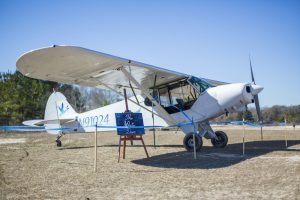 The owners of the property, The Ott family, were so excited about the ministry they actually had a grass landing strip constructed on the back of their property so the plane could be on site for the Launch Party. We took time at the event to share our heart for WOTS, have visitors see the plane, join in cooperate prayer and allow for visitors and supporters to ask questions of the team. We would love to tell you that the vision of this mission placed on Gerald’s heart to distribute these bibles and minister was a huge success. That we saw God move in mighty ways through showing up in these villages to pray and share the truth of His word. I’d love to tell you that there is a documentary of this journey for you to watch and be inspired by. 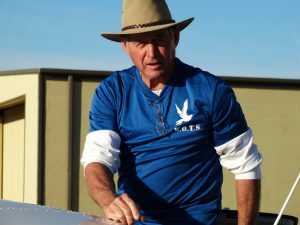 The truth is the mission was ended after only four days due to an accident in the airplane in an event known as groud looping. Live footage of the incident was captured through cameras on the aircraft and you can see it here. To say our team and all WOTS supporters were shocked when this took place would be a massive understatement. With heavy hearts the immediate discussions of getting the team and the airplane home were underway. Once the team and equipment were home safely we really started to seek God on this entire project. Did we miss him? Were we not supposed to be traveling to these countries? Was everything that had taken place to this point really just coincidence? This position of doubt faded quickly as God began to reveal the next steps! The rest of 2015 was a whirlwind as the team discussed the next steps and waited patiently on the Lord. 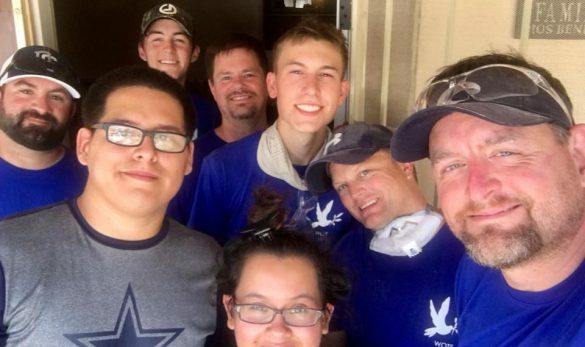 God began to mold our hearts into a posture of “serving where we stood”, that while the failed mission trip was and is an important one, simply because it didn’t work out we shouldn’t miss the everyday opportunities to serve and show love to the people here in our community. 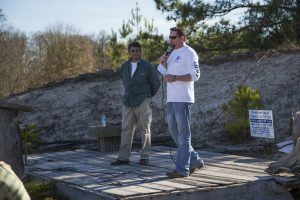 Outreach and disaster relief began to be discussed as plans for round two of the Mission of Peace were also underway. 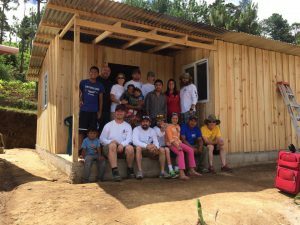 Our team made another trip to Guatemala in June of 2015 where continued connections we made, relationships formed and seeds of direction planted. A clearer understanding of God’s design for the ministry was beginning to take shape. Round two of Mission of Peace was scheduled for February of 2016. 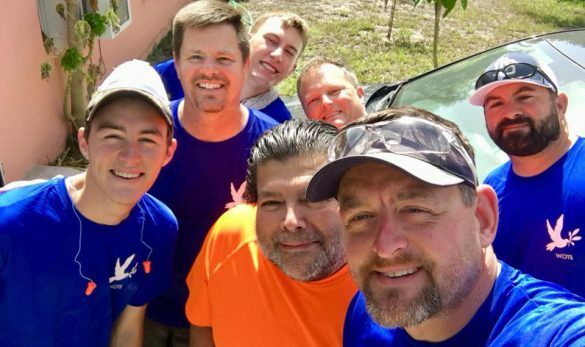 This mission would have the same objective as the first, share the love of Christ through distribution His word and ministering in some of the most unreached areas of Mexico and other parts of Central America. 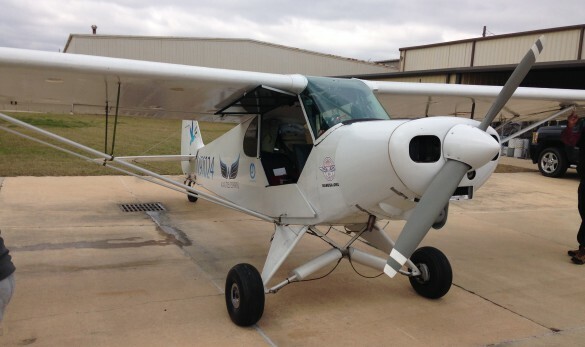 Gerald acquired another plane that was similar to Tim’s and the team was ready to go. 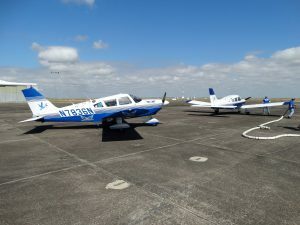 Armed now with more recourse, Tim and Ryan would now accompany Gerald and Daniel giving the team two planes, 1,400 bibles and more ministry opportunities. Again as the weeks before the trip quickly approached the team made arrangements discussing, planning, praying and honestly a little panicking. More people were aware of the ministry at this point and attended the weekly prayer meetings. Prayed up and packed up the team was ready to go! 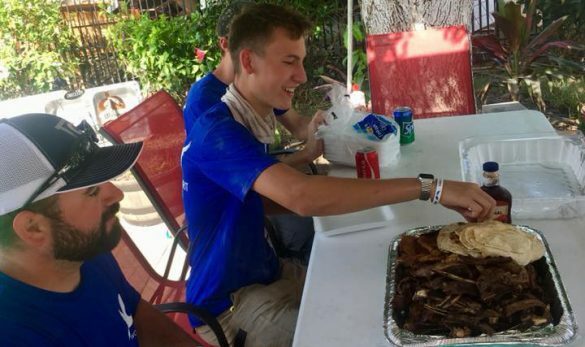 Two days before the team was scheduled to leave Daniel had a family situation that kept him from making the trip. Obviously this presented a problem, we didn’t want Gerald to fly alone and we were leaving for a serious mission trip in only two days! 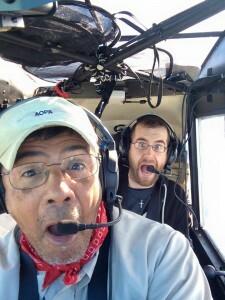 Daniel was a key member of the team; he was in charge of photo and video of the entire mission so the documentary could be made. Remember this is Daniel’s passion and what God created him to do…. hard shoes to fill. Phone calls were made and on short notice Ryan’s Dad, C.B., dropped what he had to do and made plans to go. Ryan got a “crash” course, even though we didn’t call it that, in photo and video. The story being told was obviously secondary to seeds being sewn so we did our best. 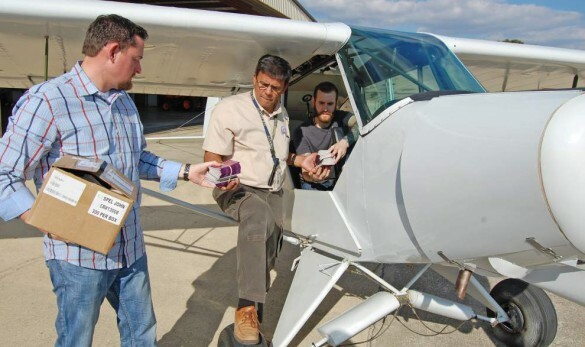 Round two of the Mission of Peace had lift off out of Baton Rouge, LA on February 17th, 2016 and returned home on March 4thafter being in four different countries, traveling over 4,500 miles, ministering and distributing 1,400 bibles. God’s hand of blessing and favor on this mission was apparent and the stories are many and more than we are able to mention in this section of the site. Every single day, at every single stop, God would supply someone to great us at the airport. 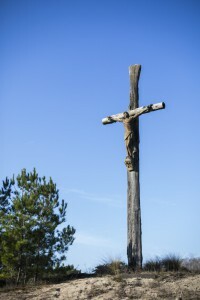 One connection would lead to another and we end up in the exact village God wanted the truth of His word to be shared. Remember, we left Baton Rouge with an idea of where we wanted to go but let the Holy Spirit lead us each day into the next step of the journey. It was truly amazing and we invite you to check out the full story on social media or see a day-to-day outline with stories, video and detailed explanations in the “blog” section of this site. 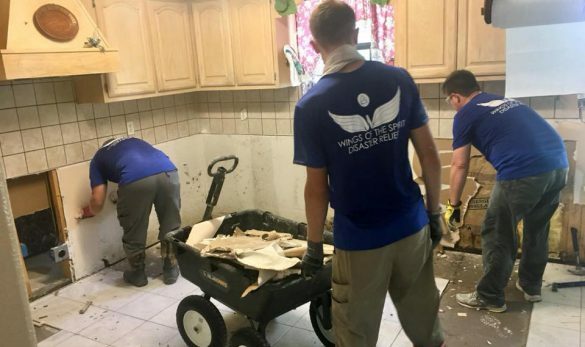 After being back in Baton Rouge for only a week a flood event located in Washington Parish, LA impacted many and our team activated to serve those in need. Little did we know this event so close to home would prove to be on the job training for the months ahead and God would use it to provide a clear vision for the future. 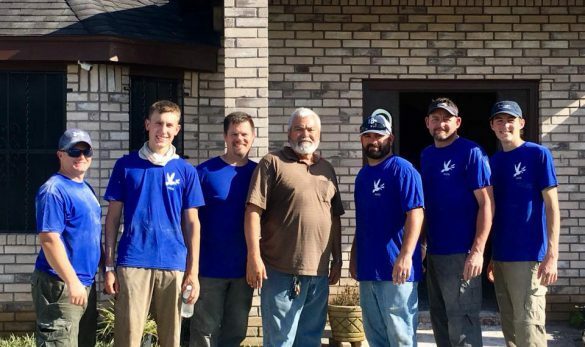 Not long after serving in the Washington Parish flood event a clear direction form the Lord was given, “make it easy for them to say yes”. We don’t want to leave you in suspense but more clarity on this will be provided shortly. August of 2016 saw the worst flooding in Baton Rouge and surrounding areas were water reached 1,000-year highs. Many were affected including a large portion of our volunteer group. Wings of The Spirit became Waves of The Spirit pulling residents trapped by high and rising water for three days. The aftermath would leave a staggering 110,000 homes damaged with an estimated value of over $15B. The road to recovering from such a large-scale event is a long one and many need help. Our small team worked tirelessly and did all we could to help those in need clean up and start the road to recovery. 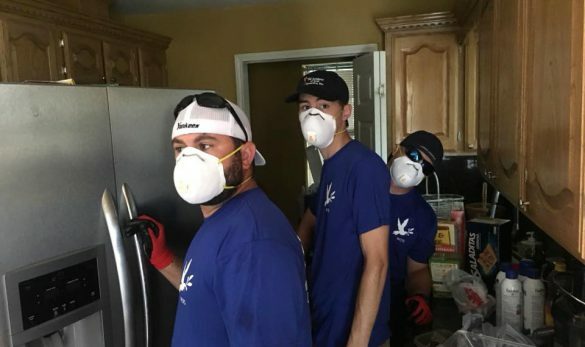 We participated in muck-out work; the initial stages of getting the house cleaned out and ready to dry, while also helping to coordinate goods distribution through partner organizations. Typical, high humidity Louisiana summer days quickly gave way to winter and many parents found themselves in need of coats. Many homes that flooded took on enough water that the clothes in the home sat under water for days. Many people had to throw away everything they owned and this left many children without the proper clothing for the winter months. WOTS was able to raise the funds to donate 400 coats to the Livingston Parish School District to be distributed to the children with the greatest need. January of 2017 produced a tornado in Petal, MS that destroyed sections of town and wiped some entire neighborhoods out. Our team mobilized to bring pallets of water, tarps and the needed supplies to hang these tarps. As mentioned earlier A DAY-TO-DAY OUTLINE WITH STORIES, VIDEO AND DETAILED EXPLANATION IS LOCATED IN OUR BLOG SECTION BELOW. 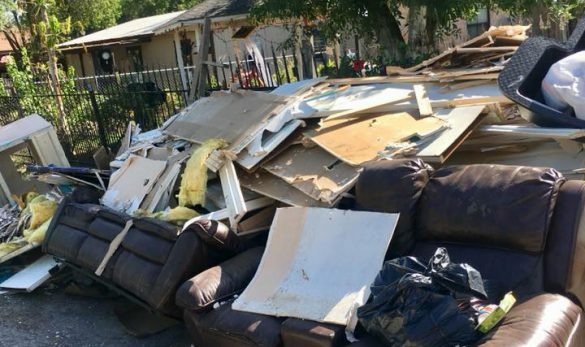 Exactly one year after the floods ravaged Baton Rouge, we watched as Hurricane Harvey caused devastation across the Gulf South in August of 2017. 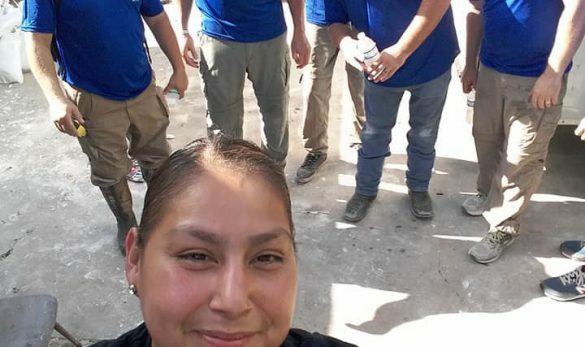 Much like the response in Baton Rouge our team spent four days preforming water rescue getting residents to safety from high and rising water. Immediately following the rescues a team was assembled to help out with muck-out work. Basic necessities are a must to support a team of volunteers away from home and many hotels were full of displaced residents and other volunteer organizations. We turned our attention to Houston by partnering with a local church, West Houston Church of Christ. The church has an upper room where they allowed our teams to sleep. While sleeping at the church was great the members of the church were gracious enough to allow our teams to shower in their homes. 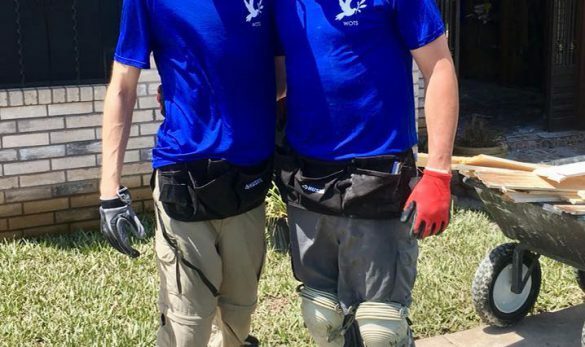 Our teams made five separate trips to Houston to assist in relief efforts while still rebuilding at home in Baton Rouge. Infrastructure is key. 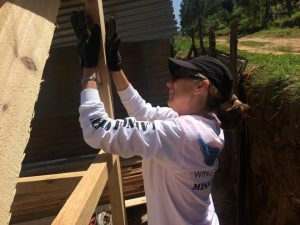 With many of the board and team members being familiar with foreign mission work, understanding the necessity for having the basic daily needs covered was clear. It’s not easy to say yes to sleeping on the floor of a church and showering in a stranger’s home. It’s not easy to work all day and wonder what’s for dinner. 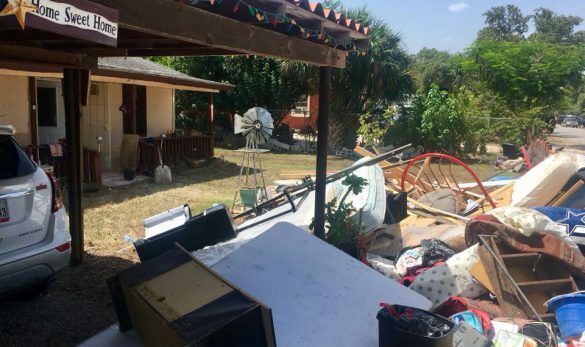 While serving regardless of the housing arrangements is the calling of a few, the reality is people unfortunately are not knocking the doors down to participate in this kind of relief effort. 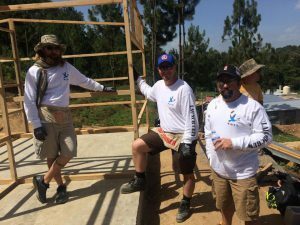 Just like when our team serves abroad WOTS aims to serve as the “host home” state side during outreach and disaster response. We have designed a fifth wheel trailer that would facilitate a team of eight. This trailer contains bunkrooms and two showers allowing for privacy while having a kitchen and living area for teams to gather. This trailer can operate at any campground across the country giving teams the freedom to respond and fill the basic needs of sleeping arrangements, food, fellowship and rest. This should go without saying but is worth mentioning. Serving our community and those in need around us does not need to wait for a disaster. There are hurting people in the world and our team is working on software with a partner organization to identify needs in the local communities and have the church body filling those needs. This will help create a lifestyle of serving others and living out the command Jesus gives in John 15:17. This same software will help identify, classify and fill needs during disaster response. People want to get involved but they don’t know how. They assume responding during a disaster is mainly “labor” type work and this could not be farther from the truth. Educating a larger group of churches and organizations about our mission and what services are needed during outreach and disaster response. This will also give the ministry a larger pool of people to gather teams from. Most organizations will respond during the initial event and will be gone within two weeks to a month. Our vision is to be the state side missions’ team for our partner churches. This will give a wide group of talents and resources to facilitate a long-term relief effort. We can help people go from clean up to recovery rather then just serving during the clean up phase. Stay informed of our latest news and events for the full stories, videos, photos and more. 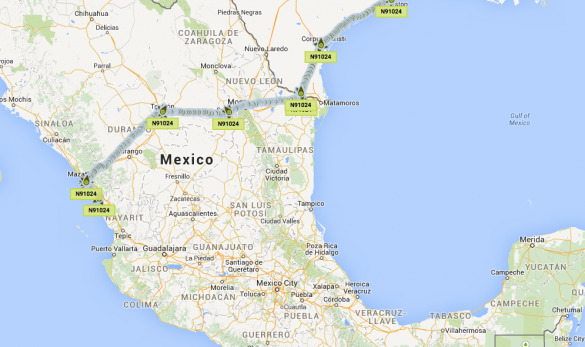 The team has made it to the west coast of Mexico and the mission is progressing flawlessly. Gerald and Daniel take off headed to McAllen, TX. They will head into Mexico Friday February 6th. Mark Hunter with The Advocate interviewed the WOTS team prior to setting out on the mission. Here we have compiled 64 images from our launch party as we made a final push to raise money for the trip. Ongoing monthly support allows the team to be able to plan and budget for many missions to come. 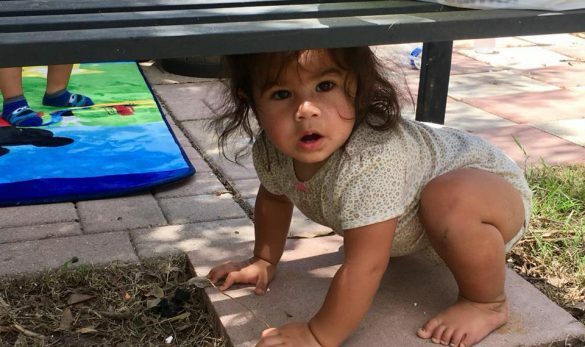 A one time donation will help and is much appreciated.